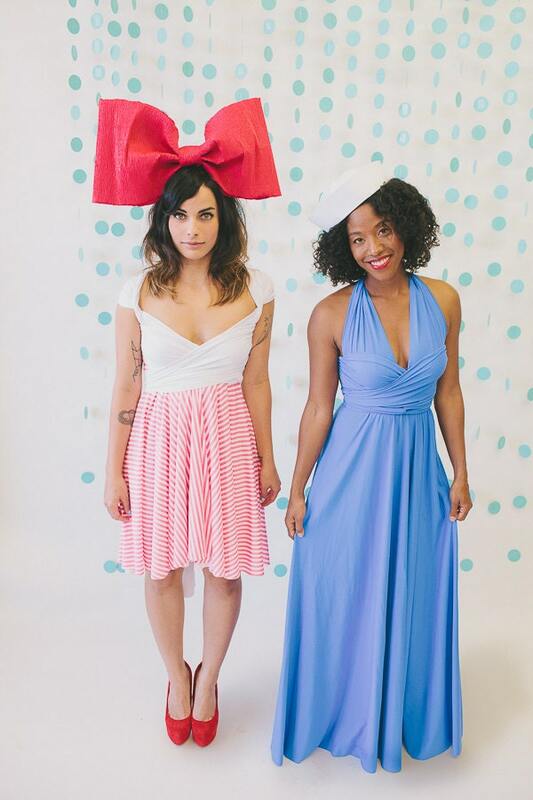 Such a fun party/ summer dress that can be wrapped up top in all different ways! 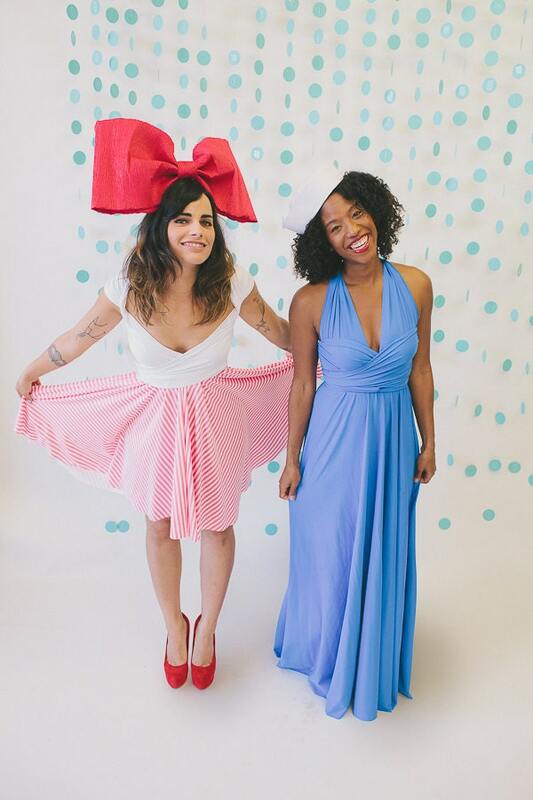 At Coralie Beatrix it's so much fun because you can customize your dress by choosing from a number of size, length, and hem cut options. Octopus Convertible Wrap dresses are great because they are a million styles in one. With a short, full circle skirt and long sweeping sashes you can wrap, cinch, tie in your favorite most flattering style! 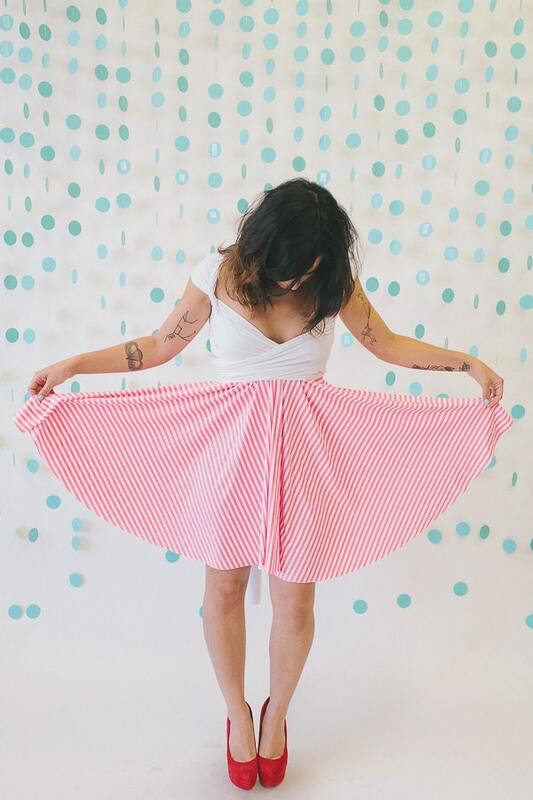 Flamingo Pink stripe full circle skirt with my soft, thick and luxurious Chantilly White straps! 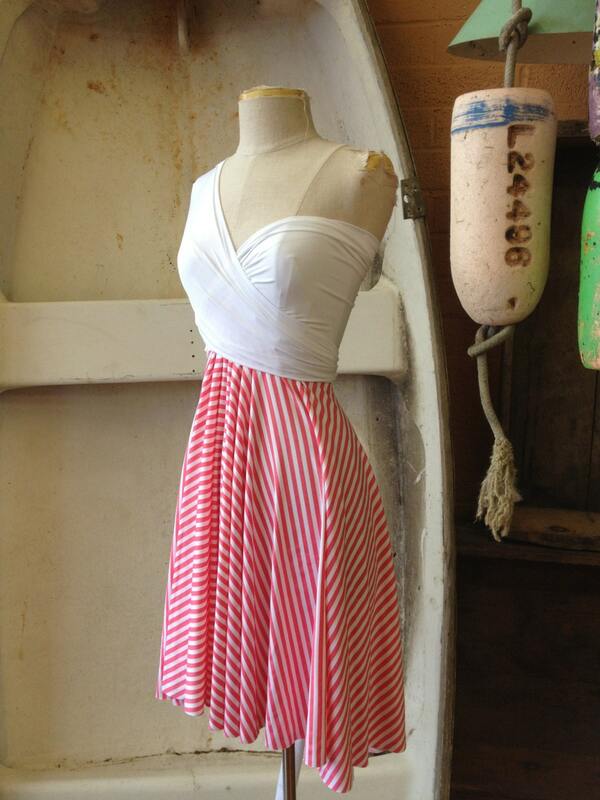 Flamingo Stripe comes in an adorable Coral pink stripe that is a medium weight stretch knit fabric with a slight sheen. Four way stretch for added wrapping ease.